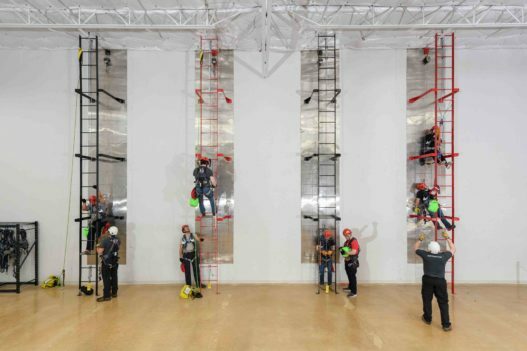 The Competent Climber & Rescue Training course curriculum is designed to help you and your company establish a safe work environment, safe work practices, and the safe implementation of emergency procedures. We are committed to ensuring that all of our students meet the unique qualifications needed for working at height. This includes the physical requirements, a demonstration of the knowledge and practical skills required to safely perform elevated work activity, as well as recognition and mitigation of the hazards associated with the transmission tower industry. 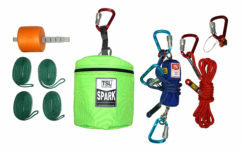 Each student must have appropriate PPE, including a full body harness, dual leg lanyard and any personal fall protection devices normally used. Students should be prepared to climb an actual structure several times each day. 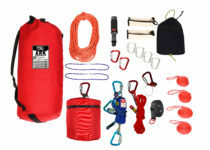 This rescue training program meets or exceeds OSHA and ANSI safety standards. This course concentrates on the various usages of the SRK-11® (ANSI certified Kit) or SRK-15® (CE certified Kit), Evacuation and Self-Rescue.